. . . . . . So here is the problem. If you go to Texas DMV they state at the bottom of the form that "For Vehicles 25 Years Old or Older TxDMV will determine and assign the bond value, and Appraisals less than $4,000 will not be accepted." I am not from there, so I can not say with certainty, but the way I interpret that quote is not that there is NOTHING under a $4000.oo value, but that if you declare a value under $4000.oo they are going to question it and assign their own value, if they feel that you are trying to under value your car. Am I misinterpreting that, or is the Texas DMV misreading it? I say "Minimum" for Any vehicle is $4k $$$$ value tax! Does this count as Patina? The custom job exposed at least 3 paint jobs over it's life. The look fully clear coated was unique indeed. I told the owner that this preserves the moment I fondly recall when I have done body and paint jobs...where I start to think..."Cripes...What the hoop am I getting myself into"! I guess TX doesn't appreciate anyone not paying more in tax than the car is worth. I did a bond here (TX) about a year ago that if I remember correctly was just over $2000. This must be a new tax scam. Didn't I hear something about double taxation? I guess it doesn't count when it's quadruple taxation. How many taxes do our cars have? Tags, tires, batteries, disposal, sales, fuel, tolls... Not to mention the sales tax is charged over and over again on the same vehicle. Many years ago I worked on a new at the time Windstar van, painted 7 times from the factory. Crazy! I agree with Mel. To me "patina" translates to the owner being broke and/or lazy. Edit: Exterior notwithstanding, this one is likely pretty solid, at least. Wagons and vans, just clap your hands. Edited 2 time(s). Last edit at 09/11/2018 12:21PM by Nick_Soapdish. CHEAP. I am sure they're only looking to make a quick buck. That is my (pet peeve) rant. I apologize if you got this far reading this. > 66 Corsa Turbo Convert. I like it, but would add: Never owned a Corvair, never driven a Corvair, but will offer TONS of advice online on how to fix them. 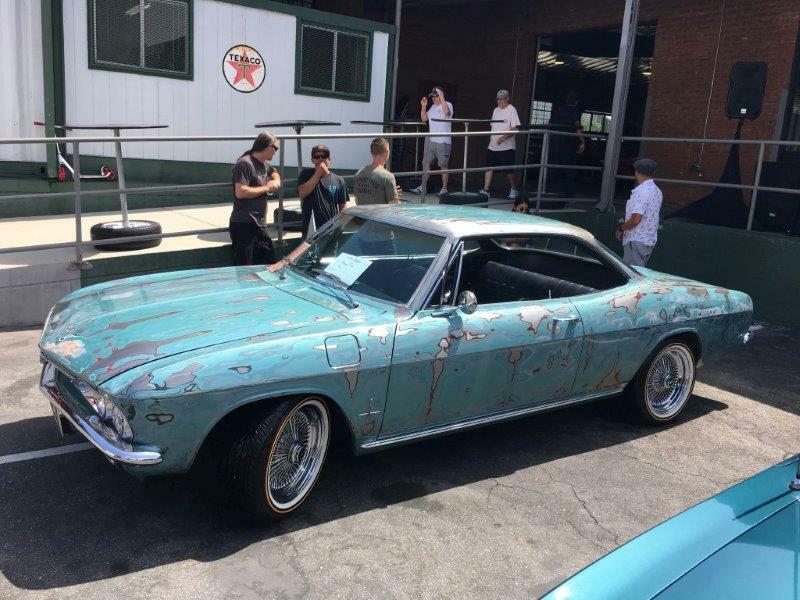 As far as Patina - if the car shows its age, or battle scars, but is BEING DRIVEN, I have zero problem with it. Most peoples show cars don't leave the garage. I have a beater Rampside (with patina), that gets driven regularly, and used as a truck, and a beater 66 Autocross Car, and they get more attention than my very nice 65 Sedan, or 66 Convert ever got. I'm not broke or lazy and I own two patina'd vehicles that we drive the wheels off. I enjoy watching my wife and kids drive them too. I have found that I can't enjoy a nice car because I'm always worried about it getting scratched, dented, or hit by some jackass in a parking lot. 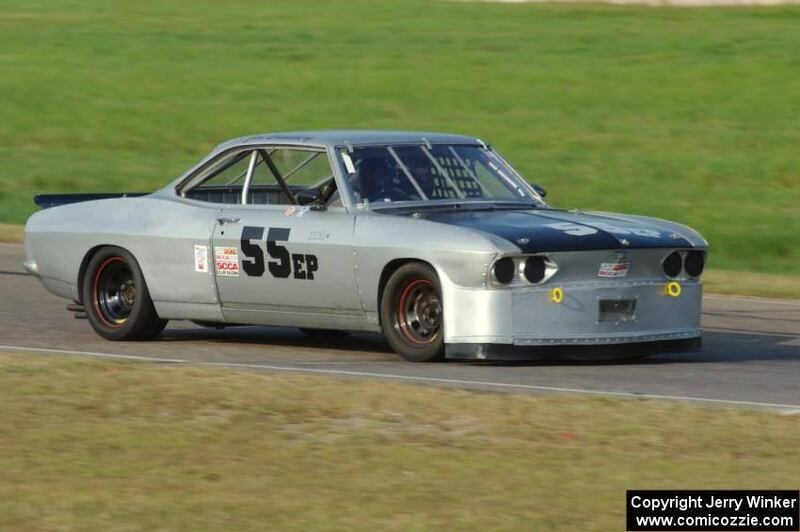 And, crazy as it sounds, I like the look of a well built car with a patina'd body. I know that when my 17 year old daughter takes my car she is bound to park it right next to the cart corral. I never worry about it. You don't have to like it, that's ok, but don't judge my personality or my income by my patina'd car. Now, go on out to the garage and put another coat of wax on that princess out there that gets driven once a month, I'll honk on my way by in mine. When I had my '67 painted... I still park it outside...and yes it got a small scratch the first day!! "My Fault!" I have a phrase I often use, "I don't want my cars to be too nice to use". Most people look at them and say they look great but they are far from perfect, I'm not concerned with little ones touching them, I encourage it, a few more scratches won't ruin my day, the pleasure comes from peoples smiles. Chad has my type of car, when I actually take time to vote for people's choice at a shoe, my vote goes for cars that look to me like they are driven, you can tell. 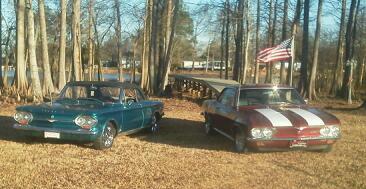 My buddy has 2 Corvairs with original sort of patina. He says they get way more attention at Car Shows than the shiny ones. It sort of pisses the shiny guys off sometimes. My car has a well-preserved 25 year old repaint that looks good from about 3 feet. The underside is all original Chicago-area rust patina, except for the replaced front floor pans. I agree with the comments that it's easier to enjoy a car that isn't perfect. I've always said that Corvairs are best enjoyed from the driver's seat. It's a lot of aggravation and effort to keep a car perfect while also enjoying driving it. I don't agree with never parking by a shopping cart corral. I park next to them whenever possible. People tend to use them whenever they are close by. I always park next to one as far away as possible. I agree that people are more likely to use one if it's there. I need the exercise too. How right you are. An original finish should last many years, if taken care of. And an original finish will, over time, gather its inevitable share of patina, which cannot be duplicated in any other way. It has "that look" which anyone can spot. Thus a nicely preserved original finish, even though imperfect, with its normal share of patina, helps make an original car worth more than an otherwise equivalent one having a shiny new paint job. "If it looks right, leave it alone" is what I advise people with nice original cars. And speaking of worth, I battled for years with the Fiero people about certain colors (there were only 8 that the factory offered over its 5 year lifetime) being worth more than others, due to rarity. I maintained that 1. 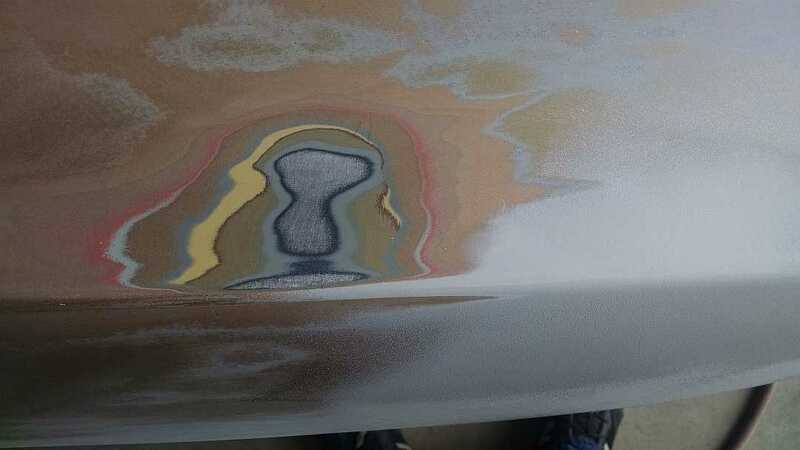 )paint comes out of a can, and that only an original paint job would affect a car's desirability, because after that, a car can be any color. Truth is, in the history of the automobile, NO car has ever been worth more just because of its color. Just look at any recognized value guide, like the NADA book, Black book, Old Cars Price Guide, etc. for proof. And 2. )color is a matter of taste. For example, a "common-as-dirt red" car may be "worth more" to a lot of people than, say, one painted in "rare" lavender. But a lavender car may be worth more than a red one to that rare buyer who is nuts over lavender. In other words, it all balances out overall. Thus, color only affects a car's liquidity, not its worth. Rarity without demand doesn't make for greater worth. Worth is a combination of both.